My uncle was working for the United States Army when he was killed by a bomb in Iraq. We had been very close, and my husband and two children loved him very much. My family had been receiving threats since 2003, but the death of my uncle was a real turning point. We no longer felt comfortable in Iraq. I am a native of Baghdad and raised my family there. I graduated from Baghdad College of Pharmacy in June 2005, and then worked as a pharmacist at a government hospital. In 2011, I opened my own pharmacy in the city, which I owned and operated for two years. It was during this time that the situation in Iraq became more dangerous for me and my family. We applied to come to the United States as refugees shortly afterwards, and moved to Jordan in the meantime to remain safe. From the day we were relocated to Boise in the summer of 2014, there were so many things we loved about the U.S. and Idaho in particular. We were able to enjoy four seasons of weather, simplicity in living, and an organization in many aspects of everyday life that had been hard to come by before we left Iraq. My children learned English very quickly and started doing well in school immediately. One of the biggest challenges of the move was trying to reclaim my career as a pharmacist. Even though I had many years of experience in my field, my certifications were not valid in the U.S. There are also differences in the way each culture handles medications and prescriptions. My resettlement agency, World Relief, helped me find and contact Global Talent Idaho. This organization has great people who know how to help skilled new Americans. GTI helped me realize the value of my work experience and taught me how to reflect that value on my resume. They trained me on how to be a professional before, during, and after my interviews for new jobs. As a result, I became confident in the U.S. interview process. Global Talent Idaho partnered with The Idaho Department of Labor to help me land an interview and secure an internship with Ladd Family Pharmacy in Boise. Thanks to my training, including tutoring to prepare for the Test of English as a Foreign Language (TOEFL), at the end of my internship, I was offered a job with LADD Family Pharmacy and I accepted! As a result, I was featured as a success story in a White House report along with LADD Family Pharmacy, Global Talent Idaho, and The Idaho Department of Labor. Click here to find my story featured on page 10 of the September 2015 White House Progress Update on Job Driven Training and Apprenticeships. It took me four months to train and study for the necessary exam, but I succeeded and became a U.S.-certified pharmacy technician. 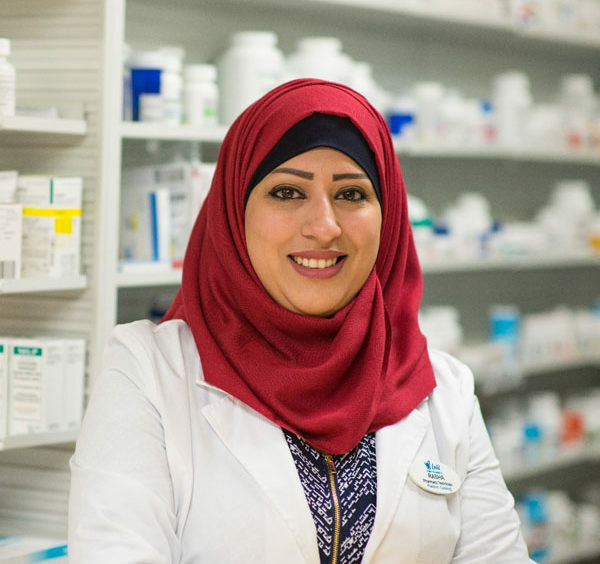 I began working full-time at Ladd Family Pharmacy in September 2015. I love being able to use my experience from Iraq to continue helping people in Boise, my new home.